Apple’s newest Mac OS, Mavericks, arrives Tuesday, October 22. If you’re itching for information, we’ve put together everything we currently know about the operating system to give you an idea of what you have to look forward to after upgrading. Apple has finally run out of cat names for its OS X updates—sorry, lynx, bobcat, and liger—so it’s on to a brand-new theme. Instead, the company has chosen to base subsequent OS X updates on locations in its home state of California. The first of these is Mavericks, a famous surfing location just southwest of San Francisco. OS X Mavericks should be available beginning October 22 from the Mac App Store. $0. That’s right: Apple announced at its special media event on October 22 that Mavericks would be free—and not only free to upgrade from Mountain Lion, but free for all compatible computers running OS X Snow Leopard or later. Wow. So, what are those compatible computers? Mavericks should work for anyone running OS X Snow Leopard or later on the following hardware: a 2007 iMac or MacBook Pro or later; a 2008 MacBook, MacBook Air, or Mac Pro or later; or a 2009 Mac mini or later. A decent amount. Mavericks has a mix of under-the-hood features, enhancements for expert users, and new capabilities. Among the highlights are better support for multiple monitors and Finder tabs; improvements to performance and battery consumption; new Maps and iBooks apps; and updates to Safari and Calendar. What about the design? Will Mavericks have the same ‘flat’ look as iOS 7? Not quite. Mavericks still looks much like OS X Mountain Lion, though certain apps—Calendar, for one—have had their rich Corinthian leather stripped in favor of a more simplified design. Gray is the new linen in OS X Mavericks. However, haters of OS X Mountain Lion’s “dark linen” pattern will be pleased to find it largely absent from Mavericks: In its place, users will see a plain dark background. What’s new with multiple displays? A lot! Users in the more-than-one-monitor crowd will appreciate the ability to get the menu bar and Dock on all screens. You can also put an app into full-screen mode on one display and still use the other monitor; previously, that second display showed wall-to-wall linen. For the first time, you’ll be able to access your menu bar and Dock on both of your monitors. Even better, if you have an Apple TV hooked up to an HDTV, you can turn that TV into a full-fledged display, complete with menu bar and Dock. You can drag windows and full-screen apps between the two, as Mission Control has been (in Apple’s words) “supercharged” in Mavericks to take advantage of all these new enhancements. For more information, see our hands-on with multiple displays. You mentioned Finder tabs. Did Apple fix the Finder? Well, that depends on what you mean by “fixed.” The Finder has some new enhancements, including a tabbed interface that’s reminiscent of apps such as Safari and Terminal. You can collect windows into one, maintain different views, easily drag files between tabs, and even, say, leave AirDrop open in one tab for quick file transfers. For more information, see our hands-on with Finder tabs. Is that all the Finder got? Not quite. Apple also added tagging capabilities to its file system. When you save a file, regardless if it’s on your Mac or on iCloud, you can assign it a tag or tags of your choosing. Then, in the Finder, you can click the tag in the sidebar and see everything that has been assigned that tag, no matter where it has been saved; you can also search for tags in the Spotlight field in the Finder. For more information, see our hands-on with Finder tags. So, what are those under-the-hood improvements? Apple demoed a number of enhancements of a more technical nature with names such as “Timer Coalescing” and “Memory Compression,” but they all share the same goal: making your computer more powerful without sacrificing battery life. As such, in OS X Mavericks, apps such as Safari should gobble up less memory (especially when they aren’t the frontmost programs); you should get longer playback of HD video in iTunes; and your apps should consume less power when they’re in the background. For more information, see our hands-on with OS X Mavericks’s under-the-hood features. Did I hear that Keychain Sync is returning? Indeed. Apple announced iCloud Keychain, which is like the old MobileMe Keychain Sync, only better. iCloud Keychain keeps your passwords, credit card numbers, and Wi-Fi authentication in sync across all your devices on OS X and iOS. Can’t remember your passwords? Let iCloud Keychain do it for you. Integration with Safari means that iCloud will automatically fill in your password for you, and it can even help you come up with strong passwords, which it will automatically remember. On the credit card front, you’ll be able to store multiple cards and their expiration dates—though you’ll still need to know your security code for each card. Speaking of security: Don’t worry, everything is encrypted with AES 256-bit encryption, so it’s safe from prying eyes. For more information, see our hands-on with iCloud Keychain. What else is new with Safari? Safari’s Reading List now features a continuous scrolling option that lets you continue on to the next item in your list when you’re finished with the current one, as well as a one-click adding option. And Top Sites has been redesigned to feature a look more reminiscent of Google Chrome’s starting page; it also lets you add pages from your bookmarks, and easily rearrange the sites to your liking. Forget about viewing links in your Twitter client; let Safari collect them for you in Shared Links. Additionally, a new Shared Links section of the sidebar collects links that friends have shared on Twitter and LinkedIn. You can quickly visit those links, scroll through them à la Reading List, or even reshare them yourself. Safari Reader is getting a redesign, dropping the hover screen for a separate page render and cleaner text. For more information, see our hands-on with Safari. So, LinkedIn? Is that now on the list of integrated services? Although Apple only mentioned LinkedIn in passing during its announcement, the social networking company itself took to its blog to say that LinkedIn would be integrated throughout OS X Mavericks. You’ll be able to update your profile pictures from Photo Booth and iPhoto, share to LinkedIn from Safari, see LinkedIn notifications in Notification Center, and access all of those features via a single sign-on pane, just as with Twitter and Facebook. For more information, see our hands-on with Notification Center. You said stitched leather has had its day in the sun in Calendar. What has replaced it? If you’ve missed the pre-Lion Calendar (to some of us it will always be iCal), then you’re in for a treat in Mavericks: It’s back to gray toolbars and windows for Apple’s calendaring app. You’ll also be able to connect the program to Facebook and see location and weather data for any event. Calendar will even alert you when you need to leave, based on current driving directions, and block out time in your schedule for transit. Calendar has a new look and new inspector features, too. Additionally, a new Month view offers continuous scrolling, and locations will now include suggestion and autocompletion capabilities—start typing, and Calendar will offer possible locations based on your keywords. Mountain Lion notably brought iOS apps to the Mac. Does Mavericks continue that trend? Two notable iOS apps make their first appearance on the Mac in Mavericks: Maps and iBooks. 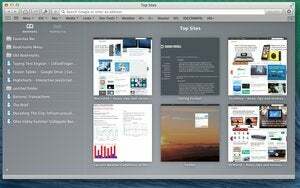 Neither, however, looks as close to its iOS counterpart as Reminders and Notes both did when they debuted in Mountain Lion. Maps features the same clean look as its iOS 7 counterpart and many of the same features, including support for directions, point of interest search, bookmarks, and more. Absent, however, is any mention of transit: The app doesn’t seem to have a button for transit directions, and given Apple’s current solution (third-party transit apps), we’re not surprised. Plot a course on your Mac, and then send it to your iPhone. Apple did show off one unique feature of Maps for OS X: Send to iPhone. Once you’ve selected a route, you can wirelessly send it to an iPhone running iOS 7, and your device will be ready to start directing you once you leave the house. iBooks, meanwhile, has ditched the wooden bookshelves of its iOS 6 counterpart for clean gray rows of book covers—synced across all your devices via iCloud, of course. You can also browse the entire iBookstore, download books, and read them right on your Mac. We know that many of you question reading on your Mac; and we admit, staring at a computer screen isn’t the most exciting way to read a book. But many of us read quite a lot in this way already: We just read articles in a browser instead of in a book-reading application. Furthermore, we imagine students and teachers will love being able to skip the book bag in lieu of a laptop packed full of textbooks. You can read multiple books—including iBooks Author textbooks—in the iBooks app. Didn’t we mention? You’ll be able to read iBooks Author-created textbooks on your Mac through iBooks, too. Note-taking, highlighting, and study cards are all built into the application, and you can even have multiple books open at once, if you like study multitasking. What isn’t in OS X Mavericks? During Apple’s announcement, the interface design as a whole wasn’t shown off as thoroughly as what we saw at the iOS 7 preview, and we suspect that’s in part because Apple didn’t have the time to finish the de-skeuomorphism of its other applications. Reminders, Notes, Contacts, and Game Center still have OS X Mountain Lion icons, while other apps (such as iBooks and Calendar) look more simplistic. Sadly, it doesn’t look like OS X Mavericks will get Apple’s assistant. 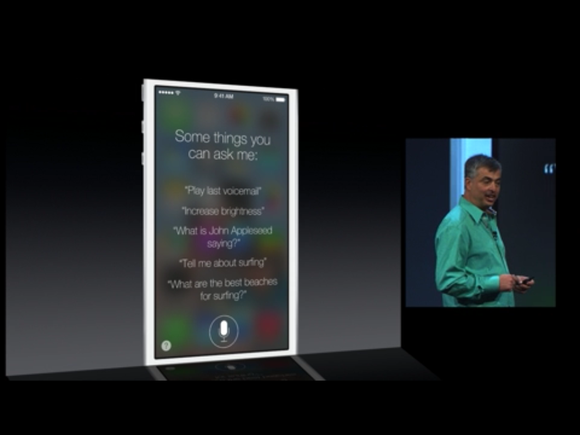 And while Mavericks is set to get some dictation improvements, there’s no option for Siri on the Mac. Updated at 12:00 p.m. PT on October 22 with more information about OS X Mavericks, its release date, and additional feature information.